Most of Us take Sports Betting for granted since We have done it for years. But to the first time bettor placing a bet in a Las Vegas Sports Book can be intimidating. First thing to do when You want to place a sports bet for the very first time is choose a friendly sports book. See my page on Most Rude Sports Books. Avoid these Sports Books completely until You have experience at sports betting then go there and be just as rude as They are. 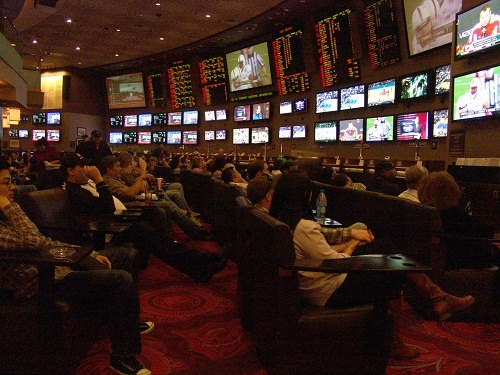 The best Las Vegas Sports Books are also rude at times to first time bettors, so just be prepared. 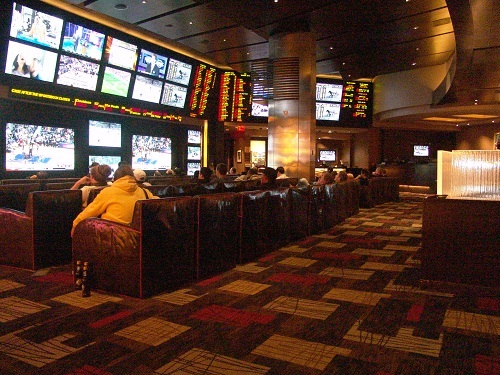 Besides the Casino Sports books on the Rude list, choose any sports book that is not busy. Most Sports books are not busy early in the day. An exception are the ones that have horse and dog racing simulcast from all over the world. Even those are okay early in the day. Just do not go to a crowded Sports Book that has a mile long line with People trying to get a last minute bet on a game that is starting in minutes. So that is all the numbers You see, now You have to make sense of it. What it means is Florida State is the favored team by 3 points. Think of it like this -3 is what Florida State Starts the game with. They have to score 3 points to make it even. If You want to bet for Florida State to win You would tell the attendant I want 20 dollars on 1401 Florida State full game. For You to win, Florida State must win by more than 3 points. If the game ends with Florida State winning by 3 You will get Your 20 dollars back. If Florida State wins by 4 or more You will win Your original bet plus 18.18 for a total of 38.18. Why? that number You see 110 means You must place 110 to win 100 so betting 20 will win a total of 38.18. If Florida State wins by less than 3 or loses outright then You lose. Conversely, If You bet Georgia Tech You would tell the attendant 1402 for 20 dollars(and repeat the team name and "full game") Then if Florida State wins by 1 or 2 You win. And of course if GT wins outright You win. The winning amount is the same regardless what side of the bet You are on. The other number You see is 45.5 which is what is referred to as the over/under number. This is a very fun bet since You do not really have to like either team. This bet is will the total points scored be more or less than 45.5. The total of both teams. so 23-24 is a winner if you bet "over". If You want to bet this bet You can use the same number as You did for Florida State or Georgia tech. Just say 1401 over or 1401 under. Always tell them the number plus the team and what You want the team to do. Caution: Many Sports books have 1st half, second half and full game bets. Make sure it doesn't say 1st half if You want the full game and when placing the bet say 1401 full game Florida State. Never take Your betting attendant for granted. This Person doesn't care as much about Your bet as You do. Do not leave the betting window until You verify the bet was printed correctly. As soon as You leave that ticket is yours, right or wrong. Avoid MGM Sports Book until You are a seasoned bettor. It is on the most Rude list. 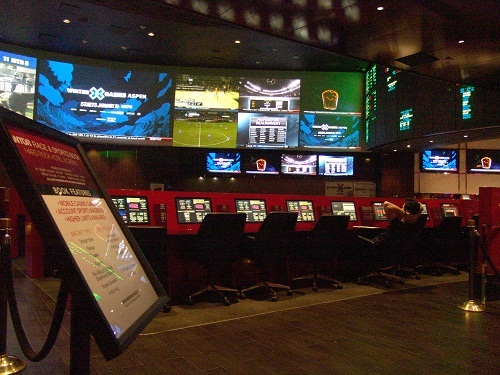 Planet Hollywood Sports book is normally a good Book to try if You are new to betting. But never do so when its crowded. You can get friendly help mid day when not much is going on.